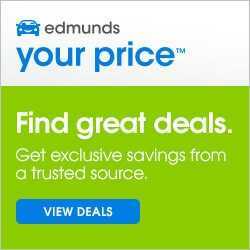 Well here we go again folks; another car company has now been issued a serious Notice of Violation (NOV) for emissions by the EPA. After I just finished writing the other day about the FBI arresting Volkswagen executive Oliver Schmidt last week, I find myself still writing again on the subject of potentially toxic emissions coming from those pure clean diesel engines we were promised. I feel like I'm trapped in the movie Groundhog Day, I can't escape this subject matter. Forget Dieselgate, that's old news. Should we call this one Fiatgate or Chryslergate? In case you missed it, here is the other major diesel fraud story I wrote the other day: FBI arrests Volkswagen executive Oliver Schmidt for fraud over Dieselgate emissions scandal. 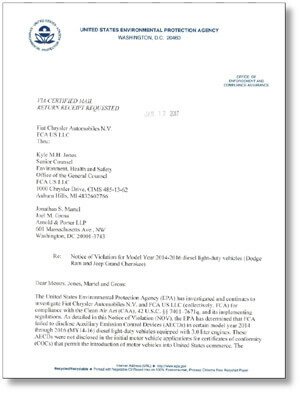 The Environmental Protection Agency (EPA) announced this morning on their web site that they issued a notice of violation to Fiat Chrysler alleging violations of the Clean Air Act for installing and failing to disclose engine management software in certain Diesel 2014, 2015 and 2016 Jeep Grand Cherokees and Ram 1500 trucks manufactured with the 3.0 liter diesel engines. The EPA stated that "Failing to disclose software that affects emissions in a vehicle's engine is a serious violation of the law, which can result in harmful pollution in the air we breathe." Not wanting to be left out of the action, the California Air Resources Board (CARB) is issuing their own notice of violation. In 2015 the EPA had finally smartened up and realized they were being gamed by the likes of Volkswagen, and suspected there may be others doing it too, so they expanded the scope of their testing to catch any hidden Mickeys in any new car manufacturer's diesel engines. During this new expanded testing, the EPA noticed that the suspect Chrysler vehicles with the 3.0 liter diesel engines spewed out more NOx emissions during normal road operation of these trucks, than during emissions certification testing. That's generally not a good sign and looks like Chrysler was not good at playing hide the salami. Investigators also uncovered at least eight undisclosed instances of Auxiliary Emission Control Devices in the form of software that can alter how a vehicle emits air pollution. Basically this software makes your engine act nice and clean like Mother Theresa during EPA testing, then reverts back to Bart Simpson after the tests are done and the car is on the road. It is a sneaky trick and if it is proven intentional, heads will roll and arrests will be made. What are Auxiliary Emission Control Devices? In the car manufacturing industry we take any hardware or software that manufacturers put in place to control how much emissions are coming out and we label them as Auxiliary Emission Control Devices (AECD). The EPA stopped short of calling the software that Chrysler installed defeat devices, which is an intentional defrauding of the testing, think Volkswagen. Here is where Fiat Chrysler may have really blown it. Car makers are required by law to notify the EPA if they install any of these AECDs in the engine. The EPA accuses Chrysler of violating the law by failing to inform the EPA about their existence. Did Chrysler deliberately break the law as VW allegedly did? Was this deliberate? That is what the New York Attorney General and other investigators are likely to focus on in the coming months. What I want to know is why do you need these software devices in the engines to begin with? I am an engineer myself by degree and cannot think of a legitimate reason for it to be there, unless they want to use it to quantify how much affect a software change in a subroutine might have on the emissions. I would not feel comfortable having them in my design for this very reason. Just let the darn engine run as designed and it either passes emissions standards or it does not pass and you go back to the drawing board. "I am deeply troubled by evidence presented by the EPA today concerning Fiat Chrysler's alleged attempts to undermine our nation's clean air laws." His office had performed an investigation of Volkswagen that uncovered violations of New York's environmental laws, and now it looks like the sleeping giant has been awakened once more. He'll be up and running in no time I'm sure. Which models are affected by the EPA violation? Below is a list of nearly 104,000 affected models from Chrysler from 2014 to 2016 that the EPA is calling out in the notice of violation, along with how many were made in parenthesis. 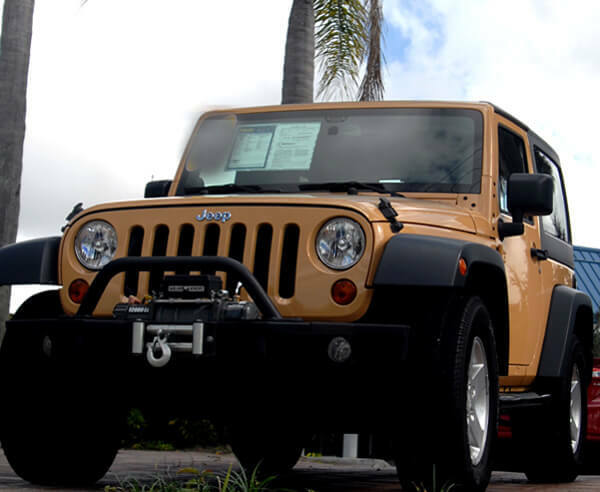 If you own one of these Chrysler trucks or Jeeps, you better call your local dealer now to get first in line on the waiting list for any necessary repairs or software updates for any corrective action they might be forced to implement. I am beginning to feel we cannot trust the automakers, don't you wonder if all the diesel engine makers are lying? I suspect that the emissions standards are just too tough for the car makers to meet, and so maybe some of them are cheating a bit to make things pass. But with all the lawsuits that are likely to erupt with this scandal, you can bet most people won't trust another diesel engine again, and that might kill sales for all manufacturers. I personally hate them, the engines are loud and they stink when you end up behind a diesel vehicle at the traffic light. I wouldn't lose a moment's sleep over the death of the diesel engine. How do you feel about diesel engines now? Do you think they should they stop making them?